In the latest of our reports from people on the team at the National Cat Adoption Centre, we hear from Emily Billings, veterinary surgeon. At the National Cat Adoption Centre we have a small veterinary clinic with one surgeon and two nurses. 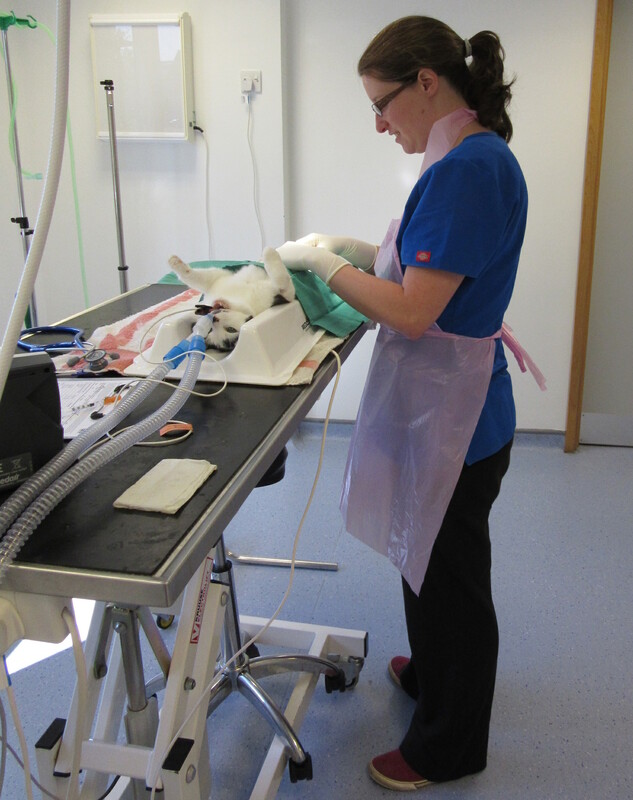 We provide veterinary treatment for the cats in care at the Centre, as well as our Eastbourne Adoption Centre. As the NCAC vet, my job involves ensuring that the welfare needs of cats in our care are met, including treatment for any conditions they may have. Every cat that comes into the centre has an initial veterinary health check to ensure that they are fit for homing. If we identify any conditions or diseases at the health check, we give them appropriate treatment and monitor their progress until they are better and ready to be moved into the public areas and, hopefully, to be homed. We have full surgical facilities in our clinic, so we can do regular operations such as neutering and dental treatment. I am also part of the Cats Protection charity’s Veterinary Department, which involves assisting with general queries from staff and vets, developing charity procedures, and trying to find ways to improve cat welfare throughout the country. It is a very rewarding job, especially seeing cats come in to the centre, sometimes in a poor condition, getting the treatment they need and then finding their forever home.